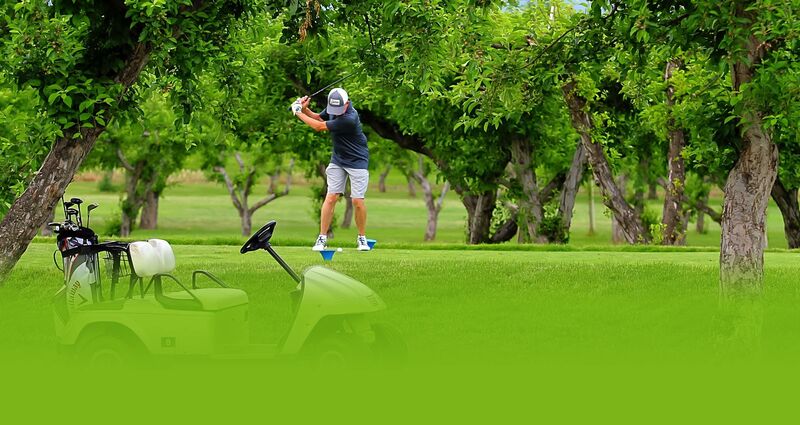 Challenging to every level of golfer while creating an unforgettable golf experience. Our scenic vistas are sure to impress. With seasons constantly changing our colours and challenges, you’ll find high replayability on our course. Not a morning person? Find yourself getting too hot for mid-day play? Looking for a new challenge? Give our stadium lit Night Golfing experience a try! Classic, stick to your ribs food and beer await your taste buds at The Bunkhouse. A favourite of locals and members alike. Orchard Greens is a 9-hole, mid-length course that is uniquely nestled amidst a working Okanagan Orchard. Fairways and greens are carved through the trees, leaving naturally decorative thickets and creating a combination of par 3’s, 4’s and 5. Once the sun has gone, your heightened senses of sound sight, and even smell, will lead you to experience our course in a whole new way. No special gear needed as our fairways are lit with stadium lighting, saving you the hassle and expense of night specific gear.